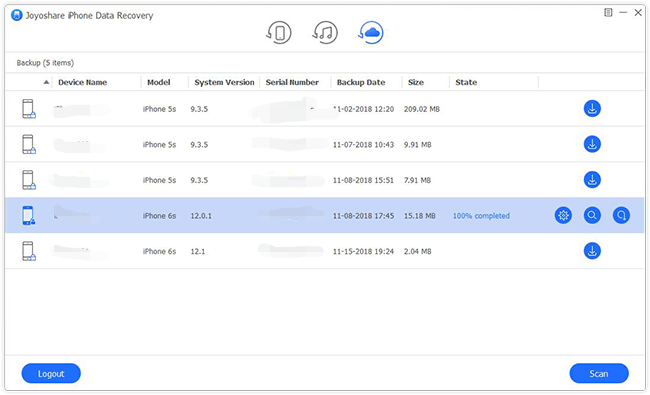 Is It Possible to Recover Call History from iPhone? The one who is suffering from iPhone call history loss can breathe a sigh of relief at this moment as it's achievable to recover call history from iPhone no matter there is a backup or not. You are enabled to find whatever valuable from call history by using your iPhone device, or by aiding iTunes and iCloud backups. That's easy. Each method comes with 3 simple steps. Let's see details. 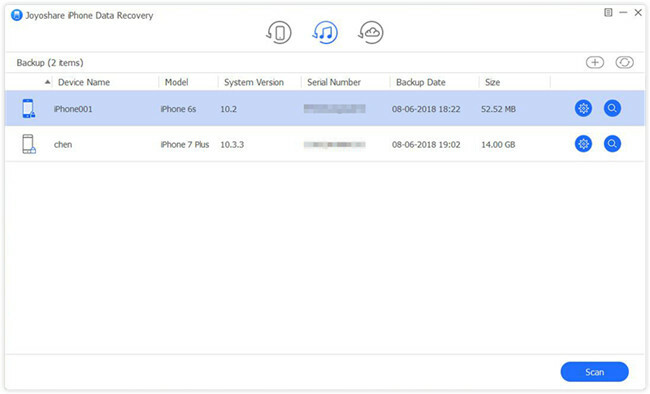 To find and recover lost call history from iPhone, what matter most is that you should take the aid of one trustworthy yet professional iPhone data recovery tool. Among diverse option in current market, Joyoshare iPhone Data Recovery is exactly such an ideal program out there. It can perform well to restore not only call history, but also photos, videos, iMessages, contacts, notes, Safari bookmarks, WhatsApp/Kik/Viber attachments and more data from iPhone, iPad and iPod touch. What's better, you can apply it to extract both common and encrypted data from previous created iTunes/iCloud backups. 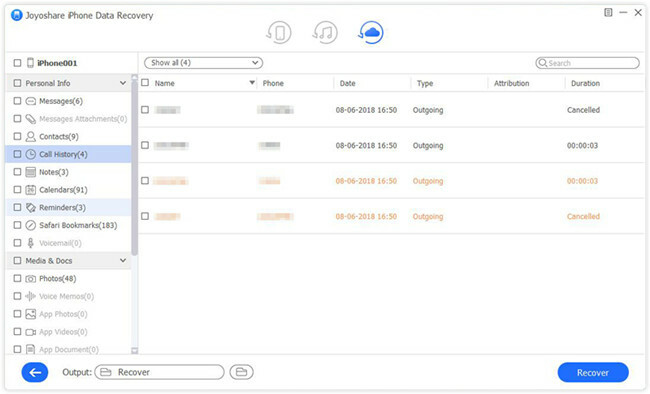 Meanwhile, this iPhone call history recovery is capable of scanning, analyzing and retrieving iOS files at an amazing speed. Its real-time decryption feature also helps take up less disk space than other similar tools. With it, there is no need to worry about device compatibility as Joyoshare supports iOS 12 and the latest iPhone XS/Max/XR without hassle. There are always users who are not used to backing up iPhone data to iTunes or iCloud. Under the circumstances, Joyoshare iPhone Data Recovery gives you liberty to straightly get deleted or lost call history from iPhone device. Here's how. 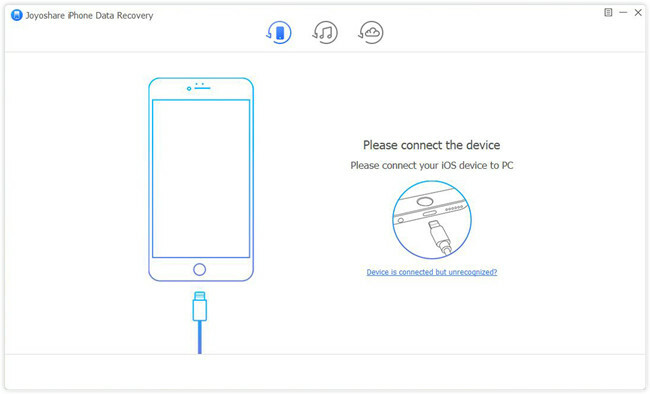 Simply open Joyoshare iPhone Data Recovery and get down to connecting your iPhone to computer under "Recover from iDevice" mode, during which you should remember to click "Trust" on device. After detection and recognition, Joyoshare will display device info and supported data types in your sight. By default, all deleted and existing data are checked. You can only select "Call History" or get more needed file types marked as per actual requirements. Then tap on "Scan" button at the right bottom. 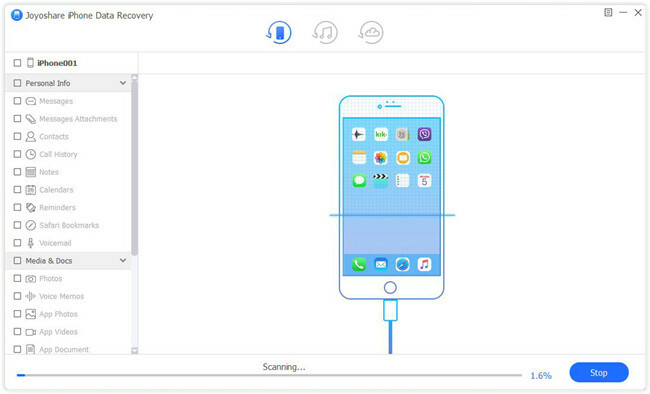 Wait patiently until Joyoshare finishes scanning data from iPhone. Afterwards, you are allowed to preview whatever you would like to recover in flexible way, searching files from search box or filtering data by only show the deleted. Once you select required call history, you can press the "Recover" button to export them. You can get chance to restore everything, including call history, from created iTunes backups. Similarly, it's handy to recover the whole backup file or just data you want. Now you can refer to following steps. 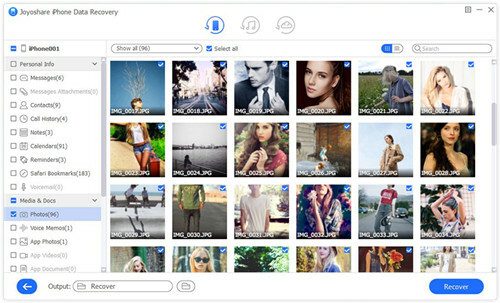 Launch Joyoshare iPhone Data Recovery and switch recovery mode to "Recover from iTunes" on the top navigation bar. Joyoshare will automatically detect and display iTunes backups for you to choose if you have synced them to your computer previously. According to the device name, model, serial number, backup date, model and size, choose the most relevant iTunes backup that may consist of your deleted or lost call history. Likewise, pick up data types from the gear "setting" icon and next click on "Scan" button. It will take you a while to complete fetching iPhone data from iCloud backup. After that, you will see all recoverable files classified in different categories. Go to "Call History" folder to look through logs one after another. Check the one you need and simple hit "Recover" button to generate them on computer locally. Another opportunity to get your deleted call history back is to draw support from iCloud backups. Under the help of Joyoshare iPhone Data Recovery, any current data saved on iPhone will not be damaged or overwritten. Keep reading guide as below. 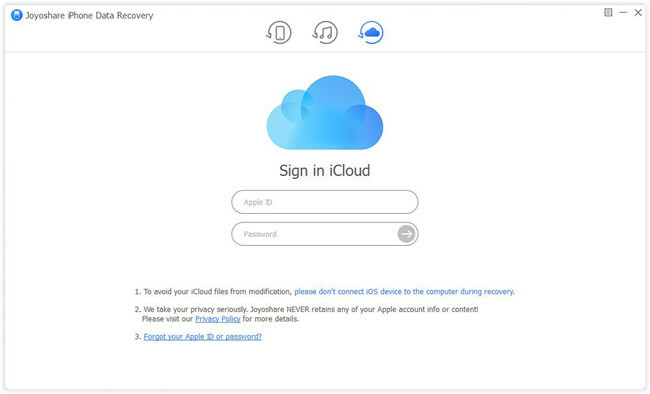 Get Joyoshare iPhone Data Recovery started and access your iCloud account with Apple ID and corresponding password. You have to type in random code as well if your iPhone enables two-factory authentication on "Settings". Opt for the recent iCloud backup you think that contains lost iPhone call history. Download it and tick "Call History" or more files from the gear icon. 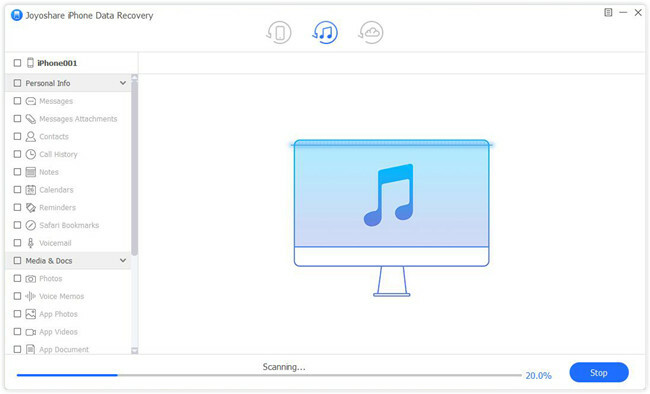 Then go forward to press "Scan" button to start to extract files. The time to scan depends on the amount of your selected data types. When scanning process comes to end, just preview results in the way you like and selectively choose needed items. 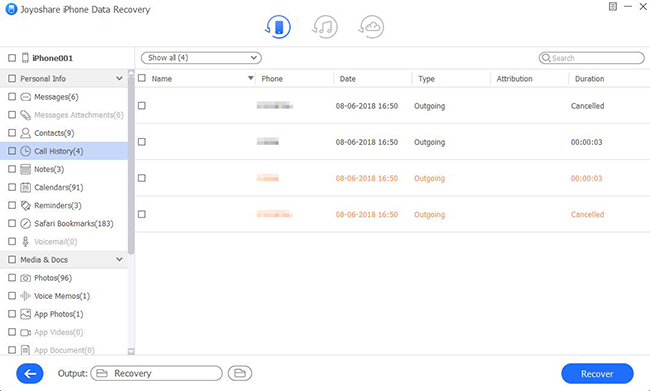 With an easy "Recover" option, you can recover call history from iCloud soon. Now watch the following video to learn how to retrieve lost or deleted call logs from iPhone, iTunes backup and iCloud backup in a few clicks only with the help of Joyoshare iPhone Data Recovery. Recover Voicemail on iPhone? Solved!